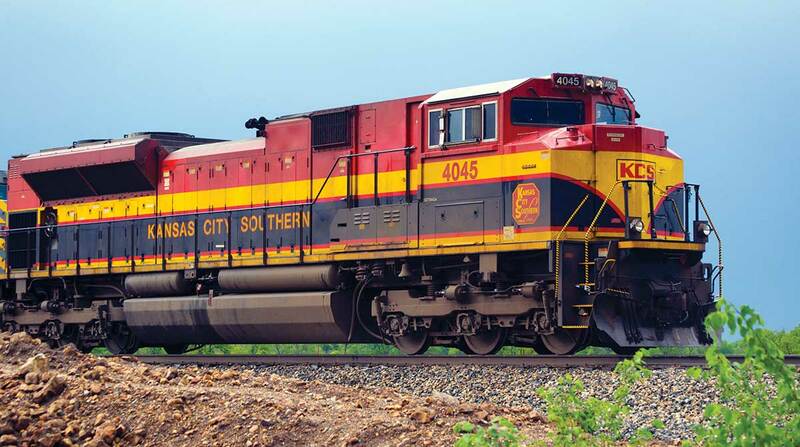 Kansas City Southern reported net income in the second quarter of $148.7 million, or $1.45 a share, compared with $134.7 million, or $1.27 a share, in the same period a year ago. The Kansas City, Mo.-based railroad reported it set a record for revenue in the quarter, reaching $682.4 million, up 4% from $656.4 million a year ago. The operating ratio rose 0.5% to 64.0% from 63.5% a year ago. The railroad reports revenue for six major divisions — chemical and petroleum, industrial and consumer products, agriculture and minerals, energy, intermodal and automotive. • Chemical rose 14% to $157.8 million in the second quarter from $138.8 million a year ago. • Industrial was $152.7 million, up 3% from $148.6 million. • Agriculture came in at $125.1 million, up 1% from $123.4 million. • Energy revenue fell 20%, to $56.5 million from $70.5 million. • Intermodal revenue rose 3%, to $93.7 million from $90.6 million. • Automotive saw revenue of $67.3 million, up 17% from $57.5 million. The company attributed the drop in energy revenue to a reduction in utility coal volume due to a Texas utility closure in January.